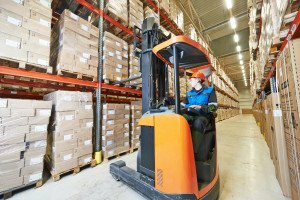 In order to operate a forklift at your work, you need to have a driver’s license, as well as an OSHA certification. This requirement is in place for both small and large businesses. In order to get OSHA certification, training in forklift etiquette and the various types of forklifts is required. It is a huge liability for a public utility vehicle to not have a certified driver, and it should be an absolute priority for all business owners. If an accident happens with an uncertified driver, then insurance won’t be of any use. Many companies, nowadays, pay for workers to become certified, as it provides them with both more productive workers, as well as lessening the risk of workplace accidents that could be vastly more expensive in the long run. In order to operate any Commercial Motor Vehicles (CMVs), a driver is required to have a Commercial Driver’s License (CDL). Typically, these vehicles require greater knowledge, coordination, and ability to be operated, such as semi-trucks. A CDL is absolutely required for any vehicle weighing over 26,000 lbs or with a 10,000 lb trailer. It is also necessary for any vehicle meant to transport hazardous materials. Transportation vehicles, such as a vehicle that can transport 16 or more passengers, also requires a CDL to operate. Remember, additional certification is required for certain types of vehicles (Class T is a semi-trailer, while Class N is a tank truck). Cranes with capacities of 2000 lbs or more must have a certified operator in order to be used on any worksite. However, while not required, certified crane operators are safer, and present less liability, even for smaller crane usage. For large cranes, even if you lift lighter loads, the rule qualifies for all cranes with a maximum manufacturer-rated capacity of 2000 lbs. Even if an employee is not certified, employers are responsible for training all employees on safe crane operation etiquette.